Does your company provide healthcare benefits to employees? Is your company interested in spending its healthcare dollars wisely in order to achieve the best health outcomes for its employees at the best value? Does your company care about the health of its employees? Does your company want to be “at the table” for healthcare initiatives that can impact employees and the community? 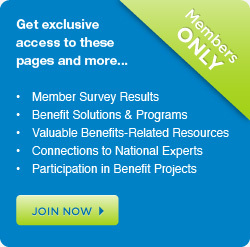 Does your company want to be able to access national-level experts in employer-provided healthcare? Does your company want to benefit from the experience and best practices of HR professionals at peer companies? Does your company want to feel confident about its healthcare benefits choices? Would your company want to make the healthcare benefits design process more efficient and informed? Are you excited about getting started? Complete the applicaton below and submit.